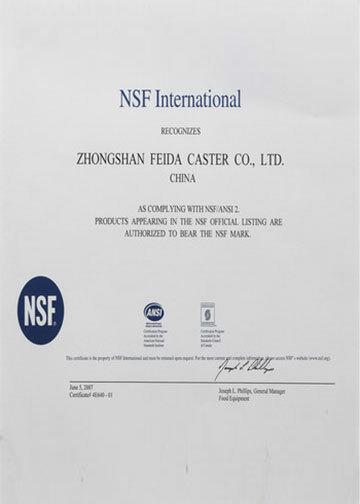 Zhongshan Feida Casters Co., Ltd.
Zhongshan Feida Caster Co,Ltd, a factory specialized in casters manufacture，we are the leading enterprise in this filed , covers 60 acres with over 70,000 square meters of workshop and 530 employees. 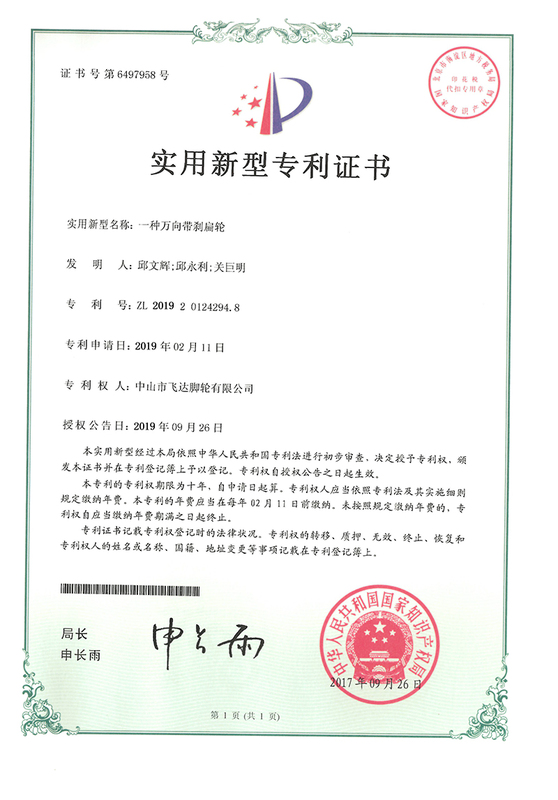 Over 200 containers are exported monthly. 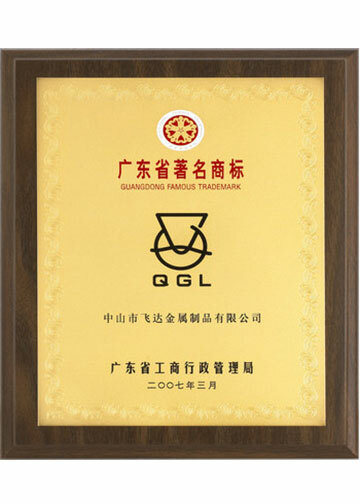 Its annual output exceeds EUR 80 millions. There are more than 20,000 caster and hand truck items,which are widely used on industrial handtruck, shopping trolley, furniture, medical instrument etc. Also ODM and OEM products are available. 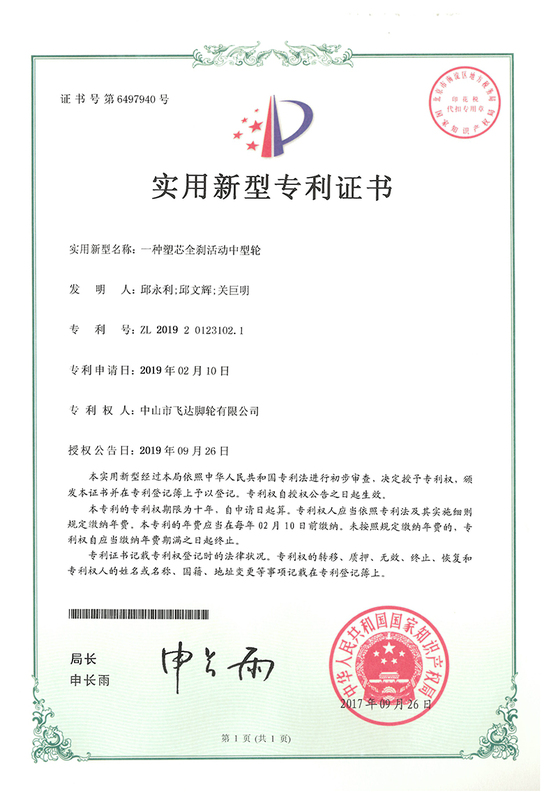 The factory has >300 sets of punching machines,>30 sets of advanced automatic machines and >50 sets of injection machines to ensure a short lead time. 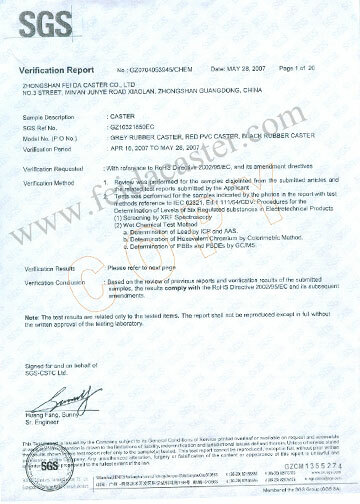 We have been devoted to quality enhancement with over 20 Testing facilities including caster running test machine. 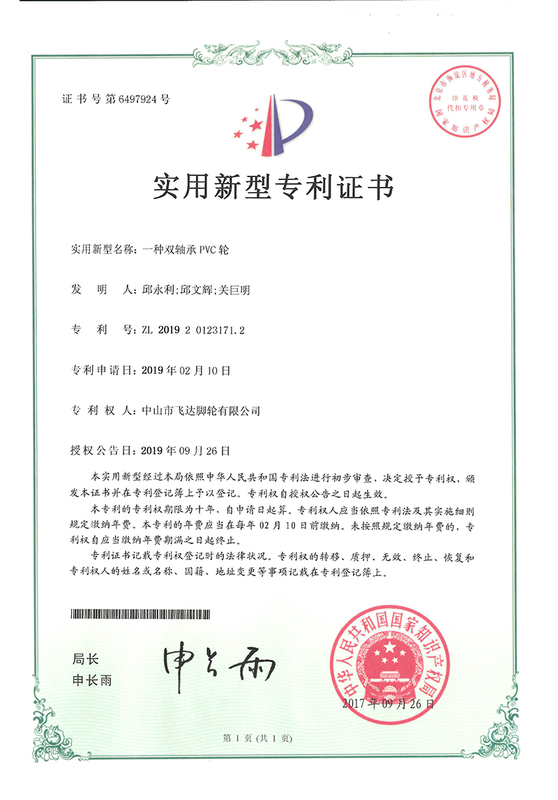 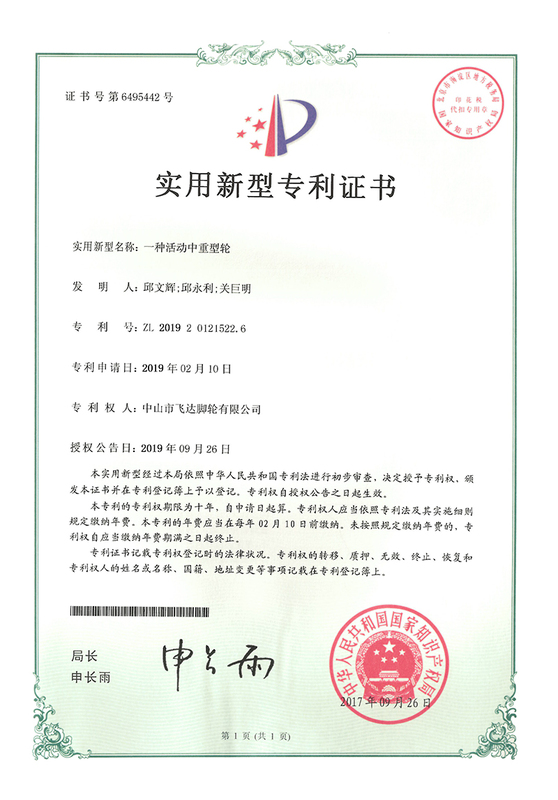 Follow ISO9001:2000 strictly to ensure the quality, we have already got RoHS、NSF and Famous Trademark certificates. Zhongshan Feida Caster Co,Ltd is absorbing skilled worker and advanced equipment to improve goods’ quality and service to meet your requirement. 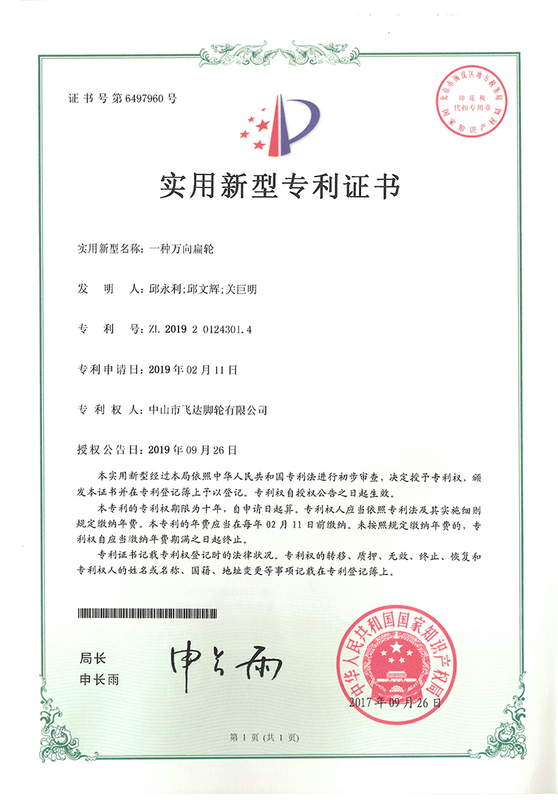 ​Zhongshan Feida Casters Co., Ltd.